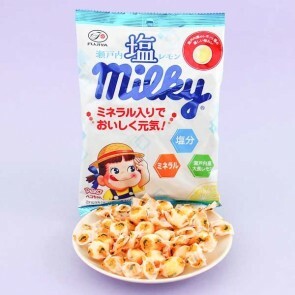 Peko-chan, the lip licking girl with pigtails, is Fujiya's cute mascot and famous all over Japan. 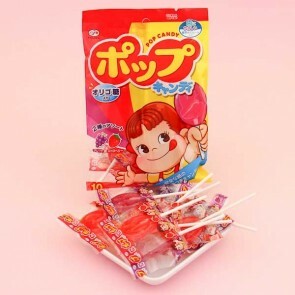 Peko-chan was born in 1950 and is wildly popular in Japan. 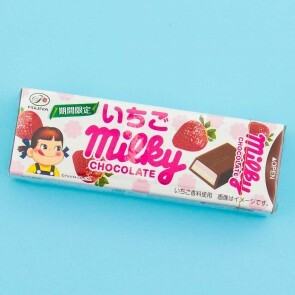 You can find her from famous Milky candies. 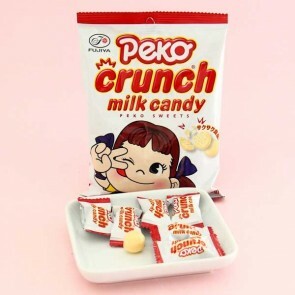 She also has a boyfriend, Poko, who is one year older than Peko-chan.